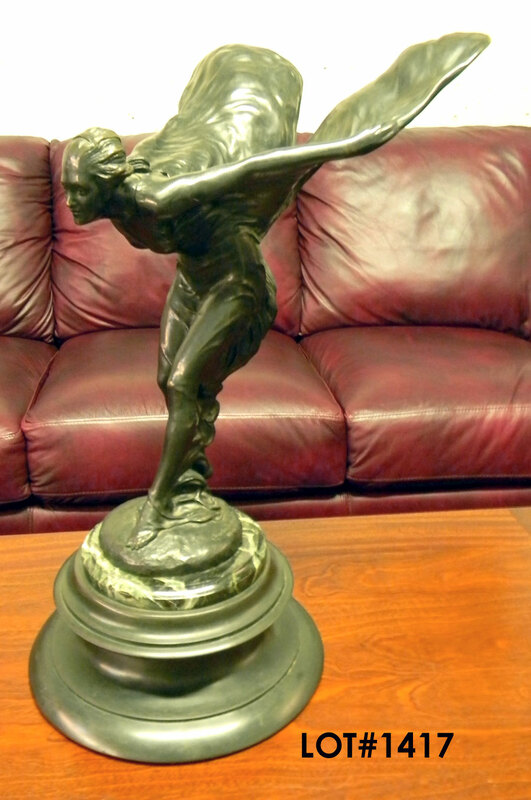 From a 1920s or 1930s Rolls-Royce dealership, this signed and numbered (#69) Charles Sykes 'Flying Lady' Bronze Sculpture is an enormous 2'1" at its highest point. Absolutely authentic and on a round marble and bronze base as pictured. The star of the William A.C. Pettit, III memorabilia estate collection, hands down. 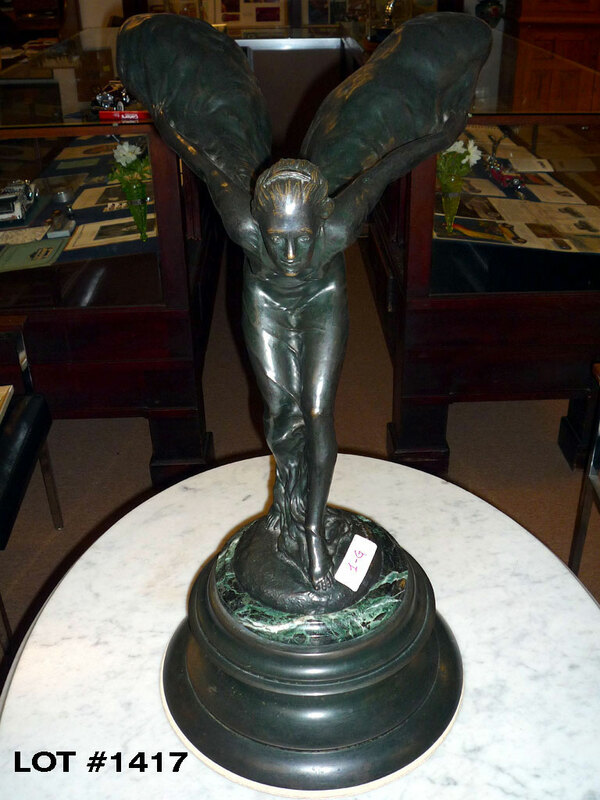 Description: From a 1920s or 1930s Rolls-Royce dealership, this signed and numbered (#69) Charles Sykes 'Flying Lady' Bronze Sculpture is an enormous 2'1" at its highest point. Absolutely authentic and on a round marble and bronze base as pictured. The star of the William A.C. Pettit, III memorabilia estate collection, hands down.